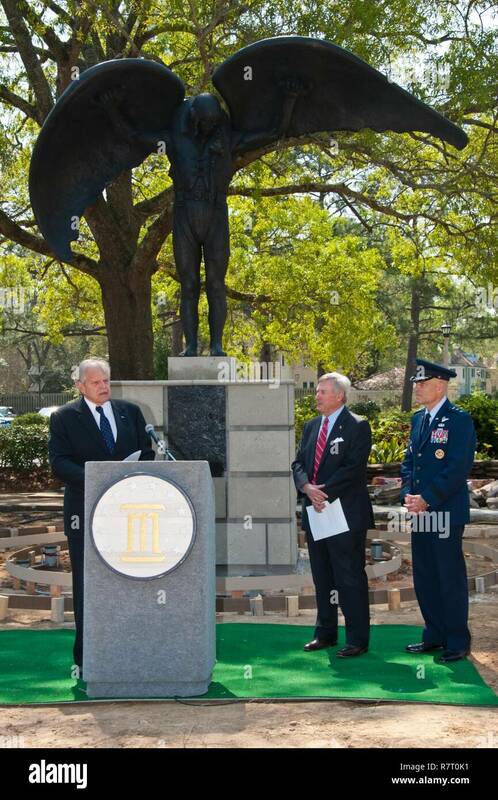 Maxwell AFB, Ala. - Mr. Nimrod Frazer, a community and business leader, speaks about the Daedalus statue behind him at Montgomery Mayor Todd Strange's weekly press briefing at the Maxwell Air Force Base Club Mar. 23. Frazer commissioned the statue to commemorate the centennial of the entry of the United States into World War I and honors the American military pilots who fought in that war. 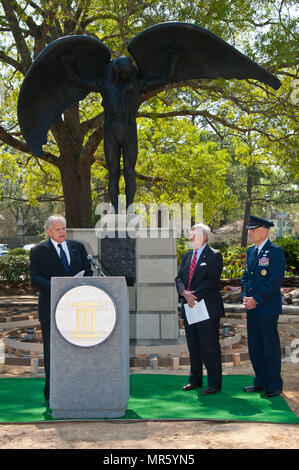 The formal dedication ceremony of the statue will be Apr. 6 in front of the base club.